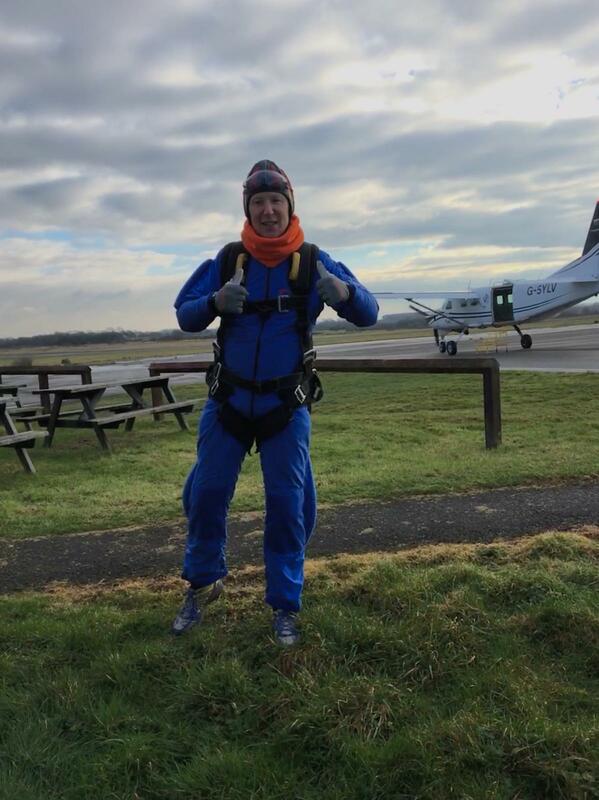 On Sunday 20th January Simon Marriott jumped out of a plane. 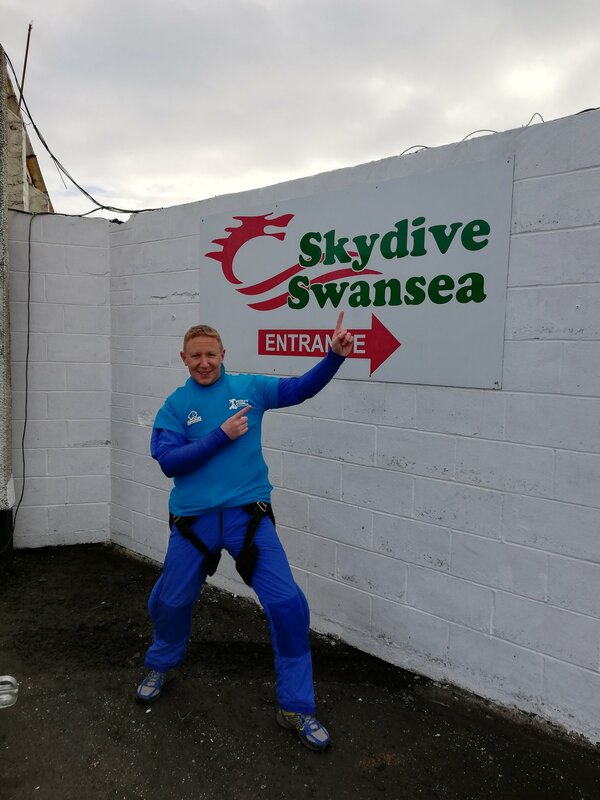 The Prostate Cymru awareness volunteer completed a tandem charity skydive in Swansea in aid of the charity as part of his year of fundraising as President of the Insurance Institute of Cardiff. 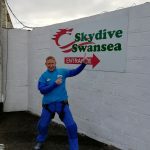 The skydive involved jumping out of an aircraft at around 12,000 feet whilst attached to a fully qualified instructor, 45 seconds of freefalling at 120mph and a smooth landing. Simon was elected to become the President of the Insurance Institute of Cardiff in May 2018. The group are a regional branch of the Chartered Insurance Institute, a professional body dedicated to building public trust in insurance. He chose to support Prostate Cymru following his diagnosis with prostate cancer at the age of 44. Simon is passionate about raising awareness of the disease and has joined the charity’s awareness team to share his own personal experience. 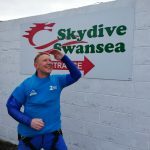 The skydive was the latest of Simon’s fundraising events, having already held a charity golf day and a champagne and strawberries lunch. 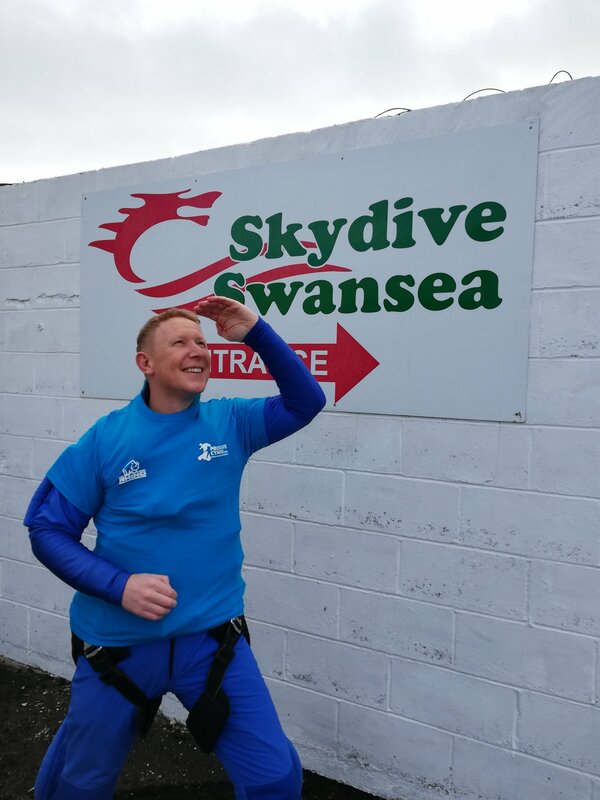 Simon is now focusing on the final preparations for a grand charity dinner at the glamorous City Hall in Cardiff with the Insurance Institute of Cardiff, which he hopes will add to his current total of around £3000.